For tame arbitrary-length toral, also called positive regular, supercuspidal representations of a simply connected and semisimple p-adic group G, constructed as per Adler-Yu, we determine which components of their restriction to a maximal compact subgroup are types. We give conditions under which there is a unique such component and then present a class of examples for which there is not, disproving the strong version of the conjecture of unicity of types on maximal compact open subgroups. We restate the unicity conjecture and prove it holds for the groups and representations under consideration under a mild condition on depth. The second author’s research is supported by NSERC Canada Discovery Grant 06294. 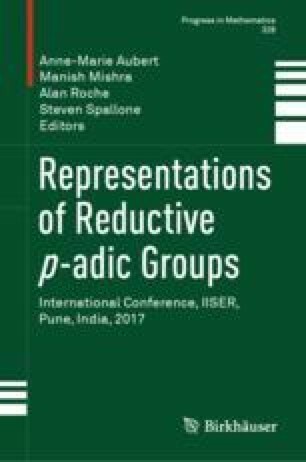 The second author warmly thanks Anne-Marie Aubert, Manish Mishra, Alan Roche and Steven Spallone for the invitation to the excellent conference Representation theory of p-adic groups at IISER Pune, India. The stimulating environment of the workshop contributed significantly to this article; in particular, fellow participant Jeff Adler provided invaluable insight into tori and buildings, and he offered up the torus of Example 8.2.